Governor Andrew Cuomo is announcing a proposal to raise the minimum sales age for tobacco and electronic cigarette products from 18 to 21. 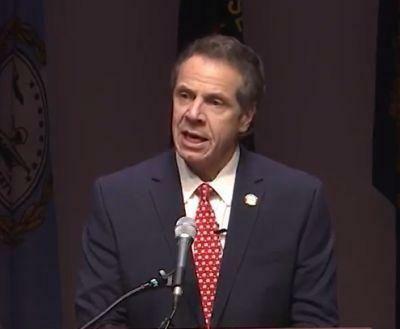 In a statement released on Saturday, Cuomo said the proposal will be included in the 2019 executive budget that he will deliver on Tuesday along with his annual State of the State message. The proposal is part of Cuomo’s legislation to curb tobacco and e-cigarette products, which also calls for an end to the sale of tobacco and e-cigarette products in pharmacies and clarifies the State Health Department's authority to ban the sale of certain flavored e-cigarette liquids, among other measures. "We have made great strides to stamp out teen smoking, but new products threaten to undo this progress to the detriment of millions of Americans. In New York, we refuse to stand idly by while unscrupulous businesses target our young people and put their very futures at risk," Cuomo said. "With this comprehensive proposal, we are taking aggressive action to combat this very real public health crisis and curb the use of nicotine products before they result in deadly consequences for an entire generation of New Yorkers." The governor’s proposed legislation would also end the sale of tobacco and electronic cigarette products in pharmacies. That is already a law in New York City as of the beginning of this year. And CVS is among the pharmacy companies that have already stopped selling tobacco products. Cuomo’s statement says that tobacco use continues to be the number one cause of preventable death in New York State. He says about 28,000 adult New Yorkers die every year as a result of smoking. Seilback says the American Lung Association strongly supports this proposal and urges the Senate and Assembly to adopt it.